One of the exciting things about writing for young adults is that now and then you get an invitation to go to schools and festivals abroad. Last year I was lucky enough to go to Germany and Sharjah ( one of United Arab Emirates) and this year I was invited to spend a week at the Khartoum International Community School in Sudan. The school was fabulous – newly built and incredibly well equipped but what was so interesting about it was that while fifty per cent of the children were Sudanese the other fifty per cent were from every country you can imagine. Because so many of the pupils were from families whose parents’ jobs take them all around the world they were used to being plunged into life in a new country every couple of years . In the creative writing workshops we did together a number of them wrote stories about the difficulty of being uprooted and suddenly finding themselves in a place they knew nothing about. They talked about the sadness of leaving friends, adjusting to a new climate, having to communicate in a second language and the confusion of just not knowing their way around or how things worked. But these were privileged children whose parents had made the choice to move countries. 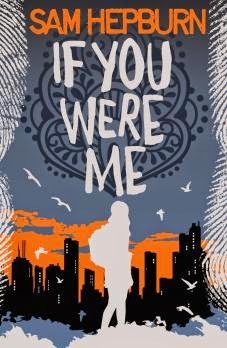 My new thriller IF YOU WERE ME is about a fourteen year old girl called Aliya who has no choice about fleeing her homeland, Afghanistan. She and her family have to leave because her brother, who worked as an interpreter for the British Army has been put on a Taliban death list. They escape across the rooftops at night and arrive in Britain with nothing but the clothes on their backs. That’s bad enough, but three weeks later her brother is injured in a bomb blast and everyone, including the police and the press believe that he is the terrorist who planted the bomb. So not only is Aliya in an alien country with no friends to support her, her brother’s face is all over the news and her whole family is under suspicion. Aliya however is convinced of her brother’s innocence and she sets out to discover the truth. I have lived in London for most of my life and I spent a couple of weeks wandering around trying to understand what it would be like to be there for the first time, having to work out how to use the buses and how to find your way around the underground. I imagined tasting fish and chips for the first time, trying sliced white bread when you are used to eating naan bread, living in a half empty dilapidated concrete high rise when your old home was a two story house in the bustling old quarter of Kabul. Aliya does speak good English, she’s learned it at school but the more I thought about it the more I realised that knowing the words of another language isn't enough if you want to find out if people are hiding things from you. You need to understand the signs and signals they make (both consciously and unconsciously) which may give them away, you need to get a grasp of words and phrases that don’t appear in the dictionary and you need to deal with all sorts of regional dialects and subtleties of intonation. Aliya does get help from an English boy called Dan but after a while she discovers that even he is lying to her. 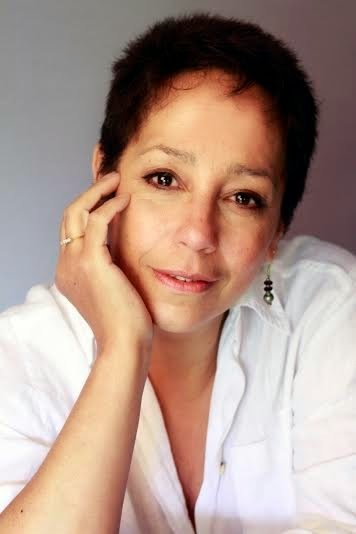 As a writer it was a really interesting to put myself into her shoes and if you read the book I hope you get a sense of her panic confusion but also of the amazing strength of character which enabled her to go on fighting when all the odds were stacked against her.